Like Rebellion’s games? Check out our thoughts on Sniper Elite 4. Rebellion’s HQ is a huge warehouse-like structure in an unassuming area of Oxford, just off the bank of the Thames. 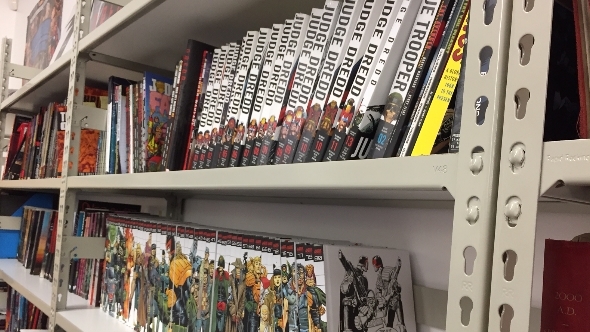 Decorated with a multitude of Judge Dredd posters, Sniper Elite concept art, and a variety of other design documents, the open plan studio floor is home to hundreds of employees. Invisible lines divide them into teams like the Sniper Elite 4 developers, the Q&A department, or the newest squad that makes up their publishing wing. “We are now a publisher, as much as I don’t like using that phrase!” laughs Kingsley. “It’s nice to be in a place where we’re making a proper big game that’s coming out and going to be played by people around the world,” he says, breaking his English modesty for a second to display some well-earned pride. “That’s a hugely important British success story, I think.” Considering the turbulent nature of the British economy over the last decade, it’s certainly no small feat. One of the most important aspects of setting up a new company is the name, and ‘Rebellion’ is quite a striking one. With the name painted in red mimicking to the logo of the Solidarnosc trade union who brought down Poland’s communist government in 1989, the graffiti style is supposed to convey the developer’s individuality. He does note that there is a downside to the name, though. “As you grow as a company and start talking to the banks or the government, being called Rebellion is always slightly embarrassing because it sounds so anti-authoritarian,” he laughs. 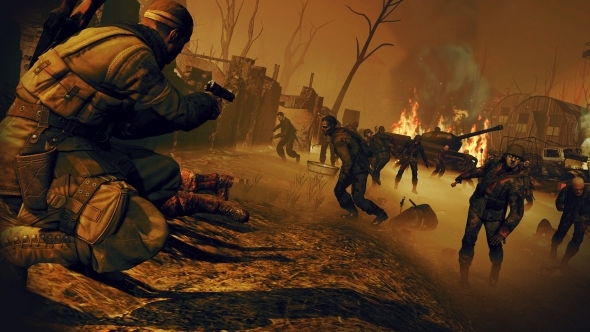 With the tech developed and a variety of Sniper Elite enemy models dressed up in gore and mud, the original demo was passed around the studio. “Everybody played it for the first time and they all looked at each other going ‘Wow! This actually really works! We have to make a game of this’” says Kingsley. And so a trilogy of grindhouse-inspired horror shooters was born. The near future belongs to Sniper Elite 4, but beyond that Rebellion have plenty of ideas. 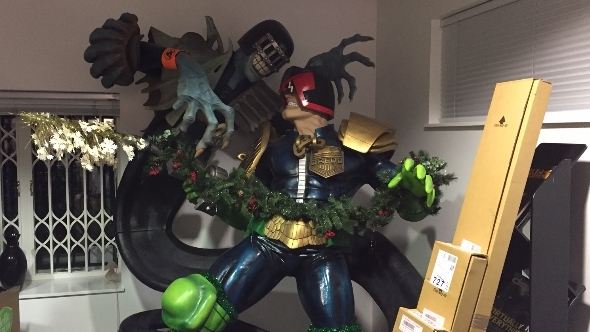 Aside from being “certain” that they will do something with 2000AD in the “medium term”, Kingsley is mindful of their other IP. “We’ve got things like Evil Genius we desperately want to come back to,” he says. But Rebellion clearly pride themselves on making new IPs, and Kingsley hints that they’re quietly working on something fresh. “There’s a lot of ideas bubbling around about a gentle science fiction that we’d like to cover,” he says. 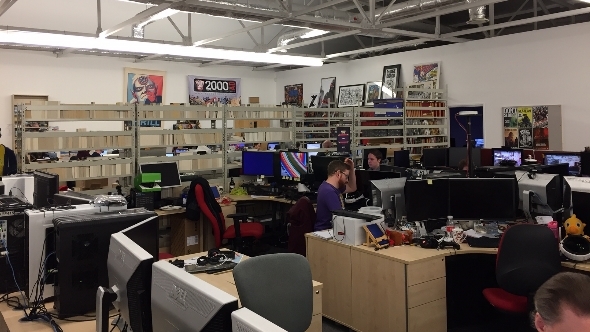 “We’re only just over 200 people, so we can only really work on two games at a time,” he adds. “I don’t want to get up to 500 members of staff and become a faceless organisation. [Being] the size we are means everybody matters. Beyond 300 or 400 staff, people become cogs in a machine, and I’ve never really enjoyed that. I would have to become a suit and tie and fire people by pointing at them!” he laughs. Recently Rebellion have been involved in the hugely exciting world of virtual reality. 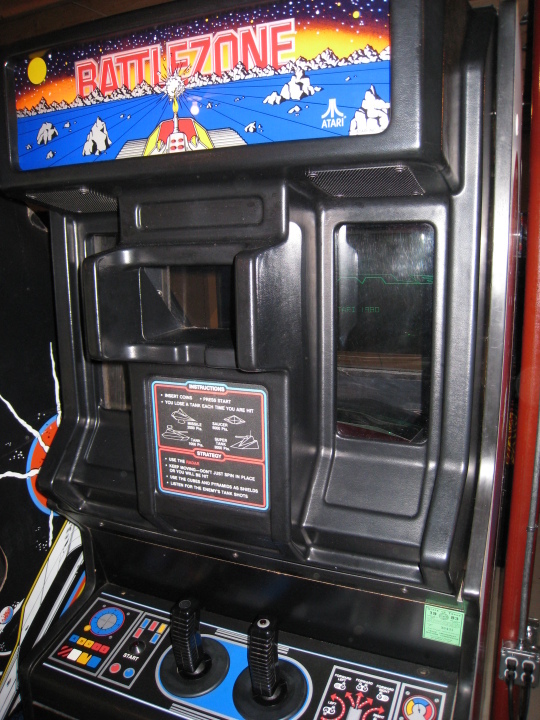 As children Jason and Chris Kingsley played the Battlezone arcade game, which required you to look into a periscope in order to control a virtual wireframe tank. Kingsley claims it was very influential on his decision to make games, which will explain why Rebellion’s first VR title is a reboot of Battlezone. “It’s nice to come full circle. We’ve been able to revisit it and have it be so massively successful,” smiles Kingsley. 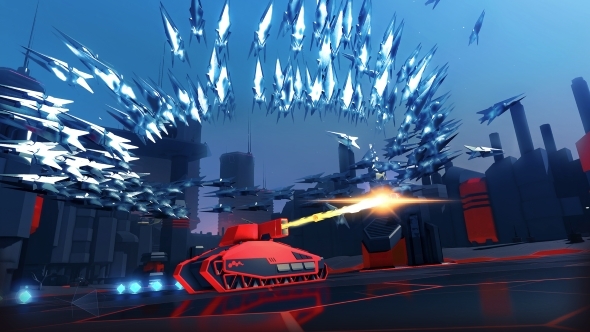 He’s pleased that his aim for the game paid off: “One of the things we were trying to do with Battlezone was to make sure we made a proper game that was in VR, as opposed to making a demo for VR.” In a world of VR ‘experiences’ that have little depth beneath the initial wow factor, that makes Battlezone stand out. The game is currently a PlayStation VR exclusive, but will eventually come to Steam. Developing Battlezone has clearly had an effect on Kingsley, who enthuses about the experiences it offers that can’t be delivered elsewhere. In Kingsley’s office stands a tall, polished suit of armour. A sword leans against the back wall, and on the table scattered around my dictaphone are the tips of lances. Not only a history buff, Kingsley is a keen jouster and partakes in reenactments. I ask if VR could help regular people experience the thrill of jousting. The idea of saddling up in true first-person perspective and galloping towards a lance-wielding horseman is certainly something to get excited about. And even if Rebellion aren’t the ones to do it, it surely can’t be that long until someone realises medieval combat and movement-based controls are a perfect blend. 2017 is Rebellion’s 25th anniversary. Kingsley is, understandably, quite proud of the sizable business he and his brother have created over a quarter of a century. Under the roof of the Oxford building live a developer, a publisher, a comics division, and two of the best mid-scale book publishers (Abaddon and Solaris) in the country. “Through thick and thin we’ve kept our workforce going, and we’ve worked hard to maintain our integrity as a company,” says Kingsley. As the company has grown, so has the quality of its output. From what I’ve seen, Sniper Elite 4 is the best game in the series, which contributes to an overall feeling that Rebellion are a company constantly moving forward and improving. 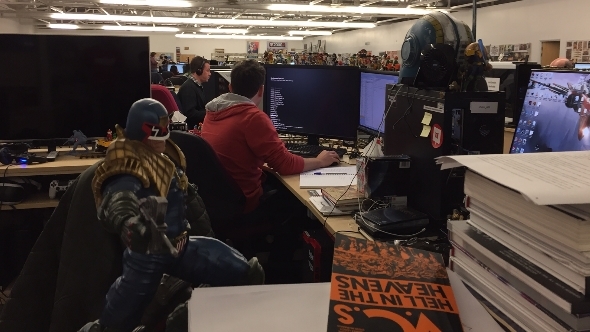 The studio’s glory days are certainly not behind them. And should they maintain their current momentum, they’re a company whose best days will continually be in the future.